Defying the President and Democratic Party leaders in an 1838 speech in the US Senate, William Cabell Rives (1793-1868) declared, "I can never forget that I have a country to serve as well as a party to obey." His career of public service began under the tutelage of his neighbors Jefferson and Madison, and extended beyond the Civil War he struggled to prevent. Rives twice served as Minister to France, during the Jackson administration, and later during the Taylor/Fillmore administration. Lafayette sought his advice about forming a French government after the 1830 Paris Revolution. Rives engaged in fierce Senate debates with the celebrated great three: Clay, Calhoun and Webster. When Rives spoke against Calhoun's doctrine of nullification in 1833, he warned of "evils and calamities to which every portion of this country would be destined, if the Union should be dissolved." Rives served as a Virginia delegate to the February 1861 Peace Convention, the last major effort to avert Civil War. When he was introduced to Abraham Lincoln, the President-elect said that Rives' great reputation had led him to expect the former Senator would be at least six feet tall. The 5'8" Rives wrote his son that he did not believe Lincoln grasped the seriousness of the situation. Rives did not appreciate Lincoln's propensity for jokes and rustic yarns. Rives and his fellow southern unionists faced only bad choices after Lincoln's call for troops following the surrender of Fort Sumter. Rives was an admired and accomplished agriculturalist, a historian and scholar. He edited a four volume edition of Madison's papers, and wrote a three volume Madison biography. This is the only full-length biography of this important statesman. 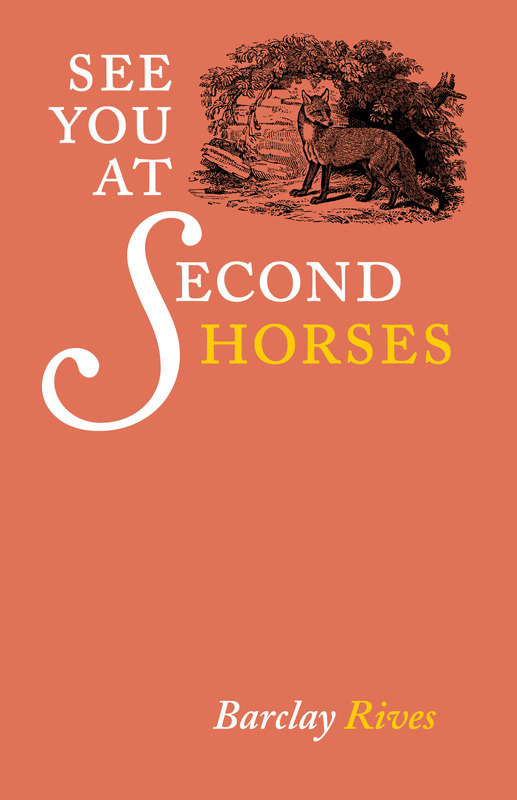 See You at Second Horses describes foxhunting tours of England and Ireland and how transatlantic sport compares with foxhunting in America. Certain English hunts offer the opportunity to gallop at fences twelve or more abreast. After a couple of hours, members of the field change to fresh “Second Horses,” at a pre-arranged location. In Ireland, attacking massive banks and drains involves nerve, falls, and exhilaration for the survivor.